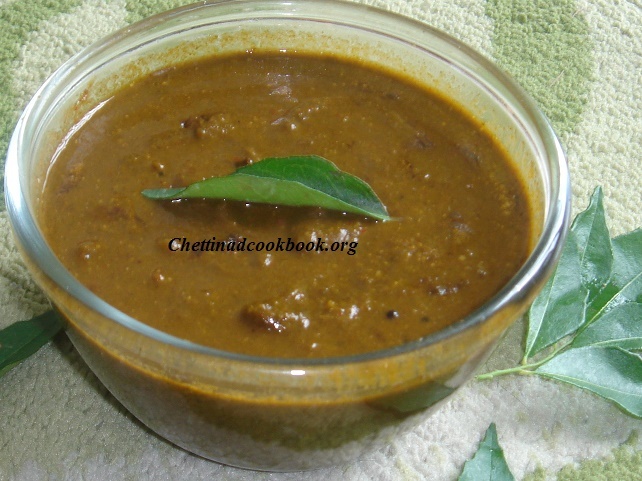 Normally curry leaves are removed to throw from dishes while eating,to get full nutritional value of curry leaves we prefer to make this delicious healthy kuzhambu. which makes your food both healthy and tasty along with pleasing aroma. 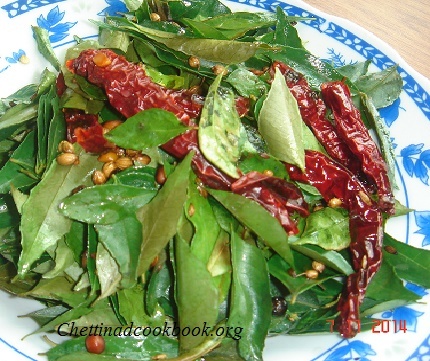 Curry leaves is a staple in Indian dishes. Commonly used as seasoning, this leaf adds a special flavour to every dish it is added to. But there is more to the humble curry leaf than simply flavour. Curry leaves consists of many medicinal values with a number of important health benefits.It help your heart function better, fights infections,can enliven your hair and skin with vitality. Heat pan with 1 tsp of oil fry all the above ingredients,Urad,toor dal,pepper ,cumin and red chilli to golden brown,add curry leaves finally toss it and switch off stove no need to fry for long time this may change its original taste. Add salt and tamarind grind in to smooth paste. Now heat pan again with 2 tbsp of oil,season with mustard,add chopped Onion shallots and chopped tomato saute well. Once its done add ground paste to it ,add 1 cup of water allow it to boil for 3 minutes transfer it to serving bowl. Serve with steam cooked rice.